We have access to daily real estate opportunities in the UK, especially London, we also have a new office focusing on Nigerian real estate and mortgages. 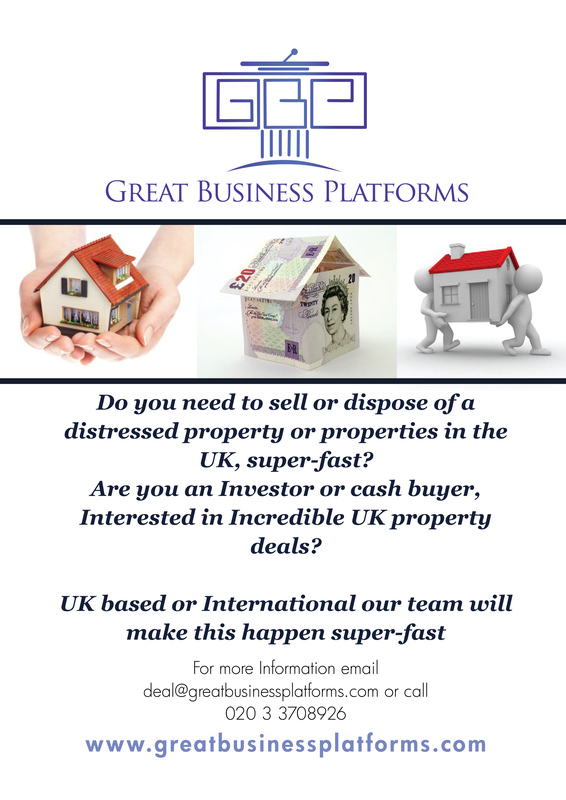 If you are seeking a quick cash sale on a Below market value property or you are a Cash buyer that wants to Invest in Below market value properties, then email deal@greatbusinessplatforms.com. We are confidential and private in all our dealings.